Now that the First Aid Conference 2019 is done and dusted, and we’ve had a few days to unwind. It’s a good time to reflect and review the day in our minds. How was it for you? Title sponsor Cardiac Science’s stand was a big hit! 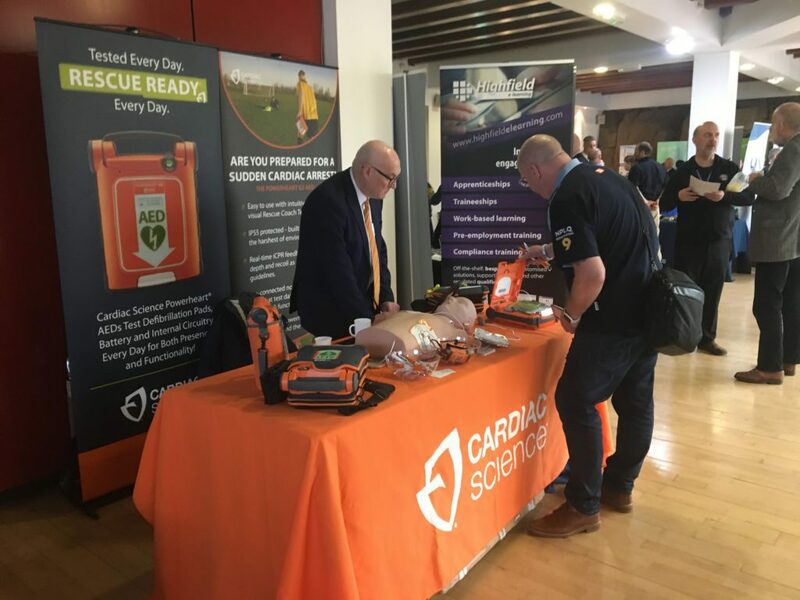 For us in the First Aid Training Co-operative, the conference day is the culmination of many months of work, particularly for Cory and Lorna who head up the ‘project’, and make sure everything runs as smoothly as possible. This starts almost a year prior, with early planning and trying to secure speakers – a job that continues right up to the last minute as diaries chop and change! Then it’s on to the venue, logistics, food, exhibitors, and delegates! We do all of this alongside running a growing national training business, and it’s no small task. However, we’re already thinking of big ideas for next time (TBC!) and starting to do some initial planning…. Watch this space! This time we moved away from including specific workshops at the Conference as we had last time. We felt that they were a little disjointed, and frankly quite hard to manage! Just having a programme of speakers presents it’s own challenges though. Especially when it comes to providing an authentic CPD opportunity for the delegates in attendance. Mixing valuable updates to existing knowledge, practice or industry changes. With speakers who give completely new information, is hard to do! From speaking to delegates on the day, and reading the feedback we’ve received so far though it seems that the majority of delegates were really happy. Some speakers will always be more popular than others, and that possibly depends a lot on your personal background or reasons for attending. However it seems that this year, almost all of the speakers were very popular. Our survey respondents have struggled to choose a favourite! Networking and buying raffle tickets! This year we worked with EICA at Ratho as hosts, and that planning goes a long way back too. We have a long and successful working relationship with the staff at EICA and we’d like to thank them again for all of their hard work in hosting us. Nearly 150 people in total was pushing the limits for the venue, but they coped admirably and nothing was too much for them. The venue is stunning and we had a hunch that it would both be a hit with delegates and work well for the scale of event we were aiming for. There were certainly some challenges on the day, but it’s all good learning for both us as organisers and EICA as hosts. Thanks to each one for coming and supporting the Conference – Exhibitor input is vital for the finances of the event – especially that of title sponsor Cardiac Science! We felt that this time the range of exhibitors was really good and the mix was about right. For every delegate who would rather not have equipment suppliers there for example, there is another who’d like to see more! 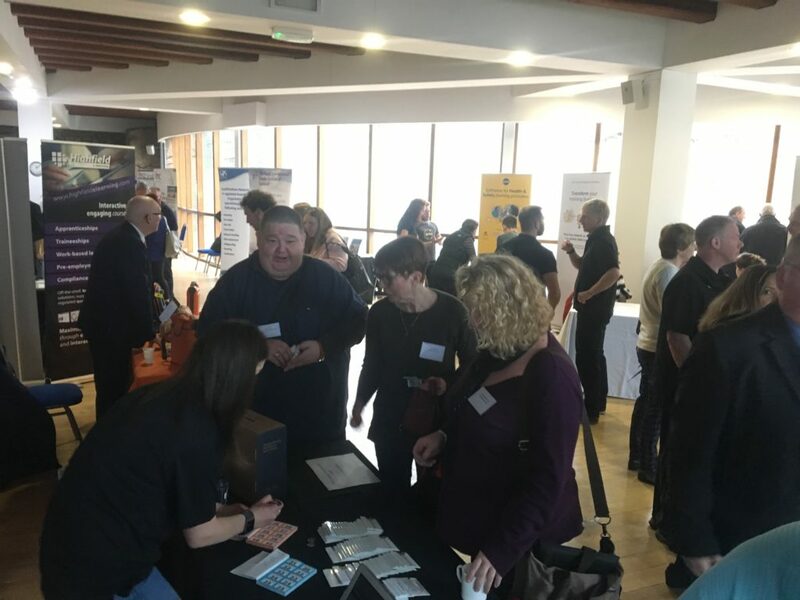 The opportunity to meet representatives from a variety of Awarding Organisations is always valuable and popular. Next time we’d like to see even more in the room together! All in all, we feel that the Conference continues to be worthwhile for the first aid training industry in Scotland and N England. For us as a company, it is worthwhile too. It allows us to speak to more people about joining the Co-operative, as well as providing valuable extra CPD for our trainer team. We haven’t committed to another conference yet, but with the ERC Guidelines 2020 being released next October, a conference in early March 2021 could be really good timing! If you have any feedback at all into this year’s event, or ideas for what you’d like to see next time, please don’t forget to complete your conference evaluation form! How to book for the Scottish 2019 First Aid Providers Conference?